Sensoria has announced its Smart Running Shoes, smart footwear that aims to provide runners with detailed biometric feedback in real-time. The shoes feature embedded textile pressure sensors in the plantar area of the foot and take advantage of an microelectronic component, Sensoria Core, which has been designed to connect to smart footwear and already works with the company's Sock 2.0. When running, users will be coached by Mara, an AI bot that will detect and feed information back to the user on cadence, foot landing and impact force. This is designed to teach runners how to become more efficient and reduce the risk of injuries. 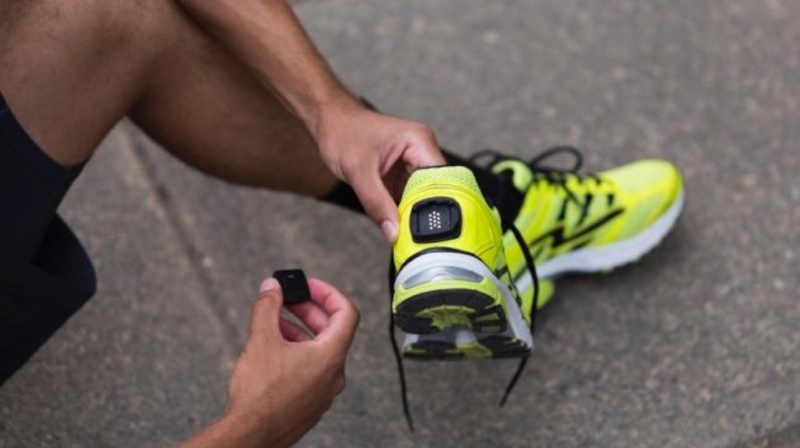 As Sensoria indicates, the Smart Running Shoes and the brains behind the operation, Core, featuring an accelerometer, gyroscope and magnetometer, combine to track not just the metrics above, but also more basic data such as pace, distance, time and calories. We've grown accustomed to Sensoria churning out smart socks and other bits of clothing, but this progression into footwear has been on the cards since it partnered with Vivobarefoot back at CES in January and showed off a smart shoe concept. However, it's currently unclear how much the latter is involved in the upcoming shoes. The Smart Running Shoes are available to pre-order for $99, coming in yellow, black, red and blue, with the Core included in the package. However, those looking to gather metrics from their feet will face a bit of a wait, with the shoes expected to land in the early months of next year.